EXCLUSIVE! A Signals bestseller, symbolizing luck and love. Cast resin with the look of hand-carved, hand-polished wood. Set of two elephants, each with a raised trunk. An elephant with a raised trunk is a symbol of good luck. To fit the two pieces together, gently slide one trunk beneath the other. When the ends of the trunks come together, they form a heart. 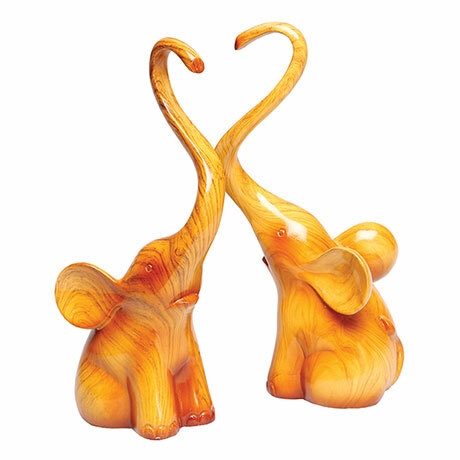 Lucky elephants are often used in Feng Shui to energize certain areas of the home. A meaningful gift for an engagement, a wedding, or a housewarming. 7" wide (when fitted together), 9" high. 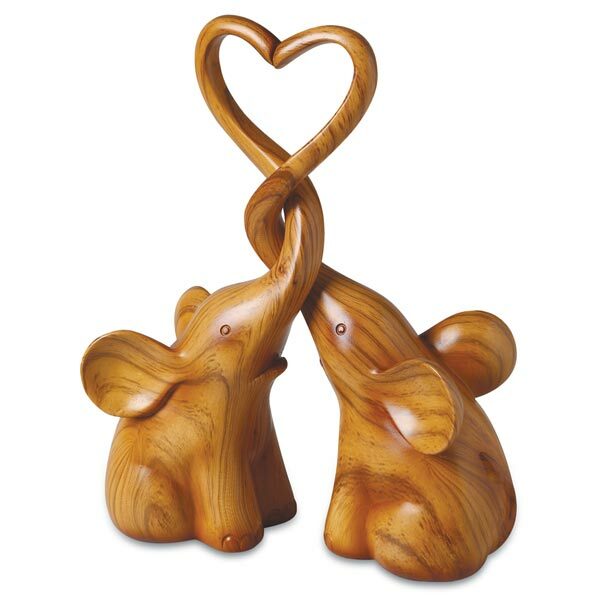 It's believed that an elephant sculpture with a raised trunk will bring luck, prosperity, and happiness into your life. That's why so many people have and collect fanciful elephant sculptures with uplifted trunks. But where did that belief get its start? It probably began with Ganesha, a Hindu god with the head of an elephant, four arms, and a big belly. Ganesha is the most popular and beloved god in India. Most homes in India contain at least one statue of Ganesha. Devotees believe that worshiping Ganesha brings success, prosperity, and protection against adversity. Sometime during the late 19th or early 20th century -- the time of the British Raj (British rule in India) -- lucky elephants figurines became popular in Europe, Canada, and the United States. At first, they were made of ceramic, porcelain, jade, ebony, plastic, and ivory -- not so lucky for the elephant. Today, many people with elephant sculptures are passionate about elephant conservation. Here are three ways to bring some lucky elephant Feng Shui into your home: Place a lucky elephant (or two) at your front door facing inward, as a sign of blessings entering your home. Place an elephant or pair facing outward to protect your home. 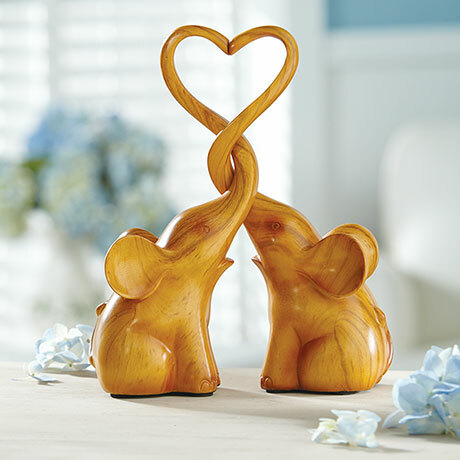 Display an elephant or pair in the bedroom to promote love and faithfulness. To learn more about elephant conservation, contact the World Wildlife Fund.